This Sunday sees the first double header meeting of the year for the CNC Heads Sports/Saloons. We travel 'away' to Cadwell Park, a regular jaunt for the Championship. All the leading contenders are entered including Jamie Cryer and the Woolfitt's. 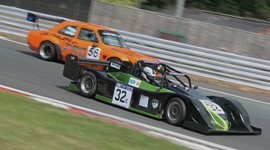 Jon Woolfitt took the honours in a shortened opening round of the CNC Heads Championship at Oulton Park. The race was disjointed following a large startline incident involving at least 7 cars and unfortunately finished under the Safety Car. The class winners were Jon Woolfitt in Class A, Paul Dobso in Class B, David Harvey in Class C with the Modified classes being won by Nigel Mustill, Robert Burkinshaw and David Bird. The 36th year of the CNC Heads Sports/Saloon Championship commences this Saturday at Oulton Park. A capacity grid of over 35 cars will be lining up on the International circuit. With the Sakers not defending their overall positions from 2018 it leaves the field open for a new Champion this year. Jamie Cryer, Dave Harvey and perhaps Luke Armiger will be to the fore to take the title in October. Another Successful CNC Heads season was celebrated at the Real Night Out last Saturday. All the class and overall awards were presented by Sponsor Ric Wood who continues his sponsorship for a twelfth season in 2019. 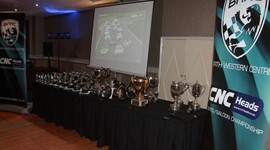 Special awards on the night included Driver of the Year to Paul Woolfitt and the Spirit of the Championship to Team Cryer. Registrations are now open for the 2019 CNC Heads Sports/Saloon Championship - the 36th running of this most popular, friendly and successful club racing championship. Documentation is available on this site on the CNC Heads page or follow the link below. See you on the grid on the 23rd March! The dates for the 2019 CNC Heads Championship are announced. 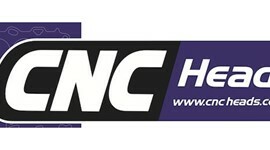 We are pleased that CNC Heads (owned by Ric Wood) will be sponsoring us for another year in 2019. The dates are very similar to those in 2018 with three meetings at Oulton Park, two at Trac Mon on Anglesey with our 'away' rounds at Cadwell Park and Donington Park. Regulations will be out before Christmas and registrations will be taken in the New Year. Paul Rose was crowned CNC Heads Champion for the second time after two wins at the final round. Going into the last event he held a slight advantage over Jamie Cryer but a comfortable victory from the back of the grid ensured he took the title. On the way he 'smashed' the lap record for the class by 8 thousand's! Jamie Cryer took Class E overall with the other classes falling to Luke Armiger (Class B), Dave Harvey (Class C), Garry Wardle (Class D) and Clive Dix (Class F). 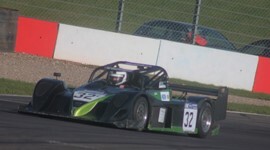 Danny Bird and Paul Rose each took an overall win away from Donington Park at the penultimate race meeting of the year. Rose still leads the championship overall going into the double header at Oulton Park on the 20th October but Jamie Cryer who took maximum points from Donington is now within striking distance of stealing the championship from Rose. Danny Bird was over the moon with his overall win as was newcomer Dominic Jackson in his Class A Saker. For the second time this year Paul Rose in his Saker took a triple in Anglesey. Even starting from the pit lane in the third race did nothing to dent his mastery of the picturesque circuit. David Harvey (Locosaki) and Garry Wardle (Porsche 996) also had triple class wins. Rose now leads the championship comfortably though he can be caught if he has some bad luck. Jamie Cryer, Oliver Thomas, Dave Harvey and Clive Dix are poised to take advantage of any slip ups. The latest round of the CNC Heads Sports/Saloon Championship saw Paul Rose take another dominant win after his team mate, Steve Harris, retired. He was followed home by the Class C Spire of Danny Bird and Luke Armiger's Class B Vauxhall Tigra. The other classes saw much closer racing with class wins for Oliver Thomas (Subaru), Paul Rotheroe (Citroen Xsara) and the Class F Honda Civic of Rob Wakelin. Although circumstances forced the organisers to merge the grids if they hadn't then Paul Rose and Jamie Cryer would have both taken overall wins at Cadwell Park. Full grids resulted in spectacular racing and fun for the crowd. Other class winners were, Paul Dobson, David Harvey (2), Oliver Thomas(2), Robert Wakelin (2) and Tony Ellis. This weekend sees the second and third rounds of the CNC Heads Sports/Saloon Championship at Cadwell Park. 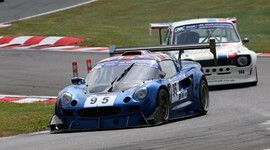 All the leading competitors from the opening round at Oulton Park are our again at Cadwell. The main question is whether or not Paul Rose will be able to win again or will the more nimble 'Caterfields' have an advantage. 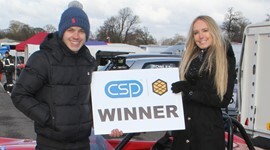 The North Western Centre takes great pleasure in welcoming CSP Detailing Systems as a new partner with the CNC Heads Sports/Saloon Championship. CSP will be at each of the championship rounds and will be presenting up to three sets of their products to competitors from the championship each meeting. The first recipients were Jamie Cryer, Ian Burrows and Paul Rotheroe. 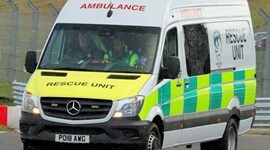 Following fitting out over the winter the BARC(NW) debuts its new Rescue Unit at Oulton Park on the 17th March. After thirteen years of loyal service the old unit was ready to be pensioned off. Over the last 12 months Crew Chief, Colin Whitter and Shaun Miller have investigated, bought and had fitted out the wonderful Mercedes vehicle we now have. 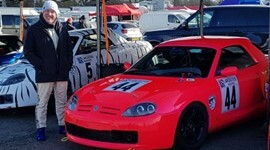 The first Mintex award of 2018 went to Martin Wills at Oulton Park on the 17th March. Martin was presented with the award for the most 'spectacular' performance in practice as seen by the marshals. He went onto a class win (and second overall) and a DNF in the two Lancaster Insurance MGOC races. He receives a set of brake pads for his MGF. Well done Martin.